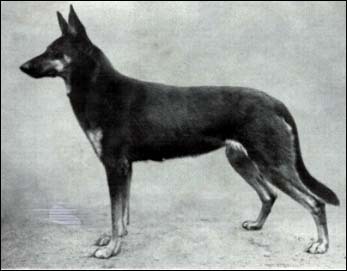 "Seffe v. Blasienberg was exported to England and Ceara Kennels where she eventually won the British Siegren title in 1927." "Seffe was the dam of Daga vom Blasienberg HGH who was the dam of Donar and Dieta Zuchtgut. Seffe did not have the quality of front that Klodo v Boxberg did and her picture tends to make her look rangy but balanced."